Register Log In GliderCENTRAL Forums Breeding & Babies Mom is keeping her kids apart? 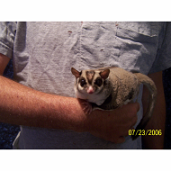 My mother glider is keeping her kids in 2 different nesting places. One is in the cube, the other in the pouch. She goes back and forth between the 2. The little girl was carried around in her pouch longer but her eyes opened a week before the boy. Going by eyes, he is 4 weeks and she is 5. Should i try to supplement these babies or is this some special glider systen she has work out? She doesnt have a mate. When breeding gliders have joeys out of pouch it is highly recommended to only leave one sleeping pouch in the cage so that babies don't get left behind like this. Since she has no mate this is especially important since the joeys have no dad to keep them warm while mom is out in the cage they really need each other. Unless there are signs that they're being rejected they wouldn't need supplementing - do you weigh them to monitor that they're steadily gaining weight? You can act as a babysitter and take them for a bit every night so that mom can have time to eat and play without worrying about the babies too. 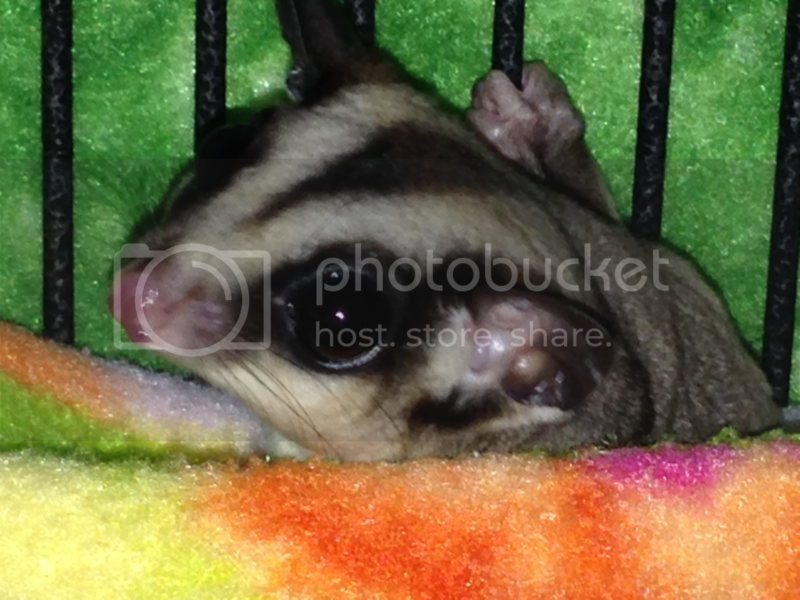 I have experimented with multiple sleeping areas with sugar gliders. mom and dad will move joeys every few days at first(probably so they get use to areas) and never had parents forget where babies are nesting. If worried though then use one sleeping area. But at five weeks old my joeys were out exploring and tasting parents food. Had one with Peanut and Miss Butters that fell asleep in the wheel. The girls read the baby the riot act for not coming to bed with them. I put joey up with the girls. Watch at night when all is quiet and sneak in at a different time than you usually visit mom and babies, you may see them up and about exploring their house. Last edited by 1daddyglider1; 05/22/15 05:44 PM.